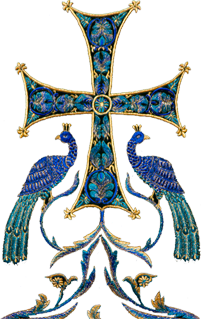 Metropolitan Hilarion’s parents – his father Alexei Kapral, and his mother, Euphrosynia (née Kasyaniuk) – were from the village of Obenizha in Volyhn , Ukraine . In 1929, during the Polish occupation, the local populace was persecuted and oppressed by Poles attempting to turn Western Ukraine into a Polish province. Thus, the 19-year-old Alexei and his young wife decided to emigrate to Canada. At the time, the Canadian government afforded immigrants the opportunity to obtain large tracts of land in Western Canada ; it was there that the young family settled. Upon their arrival in the province of Alberta , the Kapral family received 160 acres of untilled land, as well as $100 in cash, a hammer, and an axe, with which to build themselves a home. In the developing Spirit River region, there were some 200 Ukrainians, and in view of the oncoming cold, they quickly built themselves houses. The great economic crisis of 1929-1930 affected the settlers as well, making an already hard life even more difficult. To find work, Alexei Kapral had to travel far from home, and he earned but 25 cents per day. Nonetheless, the family grew ever larger – five boys and two girls filled the house with children’s voices, speaking Ukrainian at home. Their parents also spoke Russian and Polish. On Sunday, March 17, the feast of the Triumph of Orthodoxy, Metropolitan Hilarion of Eastern America & New York, Archbishop of Australia & New Zealand, celebrated the Divine Liturgy in Sts. Peter & Paul Diocesan Cathedral in Strathfield, Australia. On Tuesday of the first week of Great Lent, March 12, Metropolitan Hilarion of Eastern American & New York paid an archpastoral visit to Holy Dormition Convent "Novo-Diveevo" in Nanuet, NY. 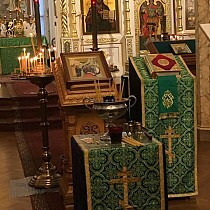 On Saturday, March 9, the feast of the First & Second Findings of the Precious Head of St. John the Forerunner, Metropolitan Hilarion of Eastern America & New York led the Lesser Consecration and celebration of Divine Liturgy in the Stavropegial Metropolitan Metochion Church of the Icon of the Mother of God "The Inexhaustible Chalice" in Brighton Beach, NY. On Friday, February 15, the great feast of the Meeting of the Lord, Metropolitan Hilarion of Eastern America & New York paid an archpastoral visit to St. John the Forerunner Cathedral in Brooklyn, NY, where he celebrated the festal Divine Liturgy.